With a legacy dating back three quarters of a century, the Jeep is surely one of the world’s most iconic vehicle platforms. 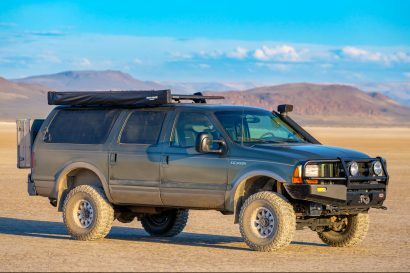 From the U.S. Government’s initial call for a four-wheel drive light personnel carrier in 1940, to pioneering the Rubicon Trail in the 1950s and setting the standard of 21st-century capability, the seven-slot grill has a place, not only in the hearts of Americans, but with backcountry enthusiasts the world over. During the recent recession when the brand was struggling financially, they closed their museum and unfortunately, liquidated its inventory. 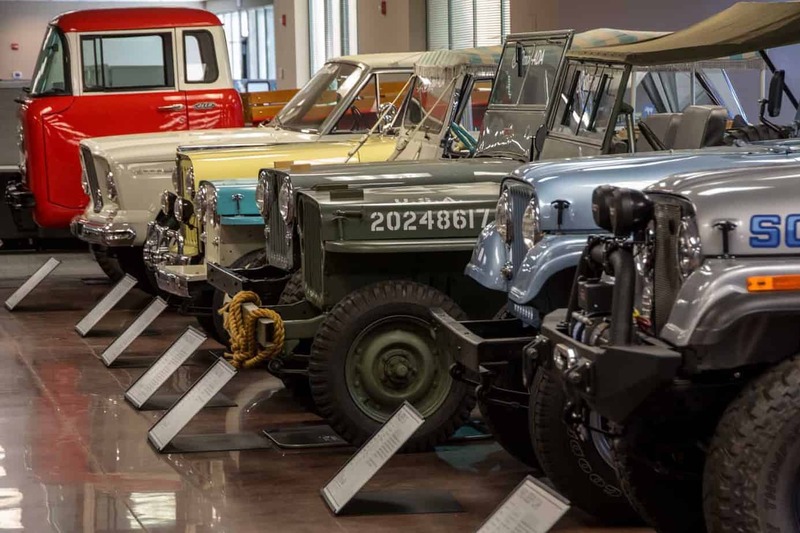 Although it was an economic necessity at the time, gone was one of the most comprehensive Jeep collections on the planet. 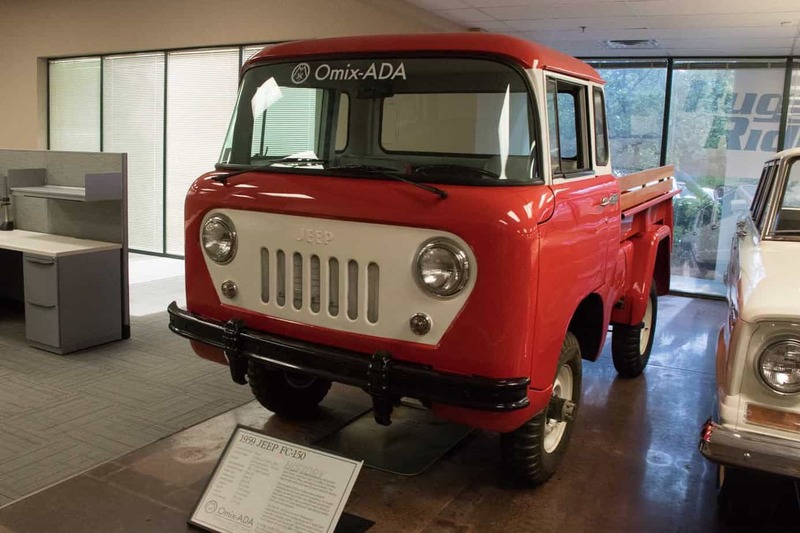 All is not lost, however, as a few years ago the guys at Omix-ADA (Rugged Ridge/Alloy USA) began acquiring rare models with a plan to create a museum of their own. 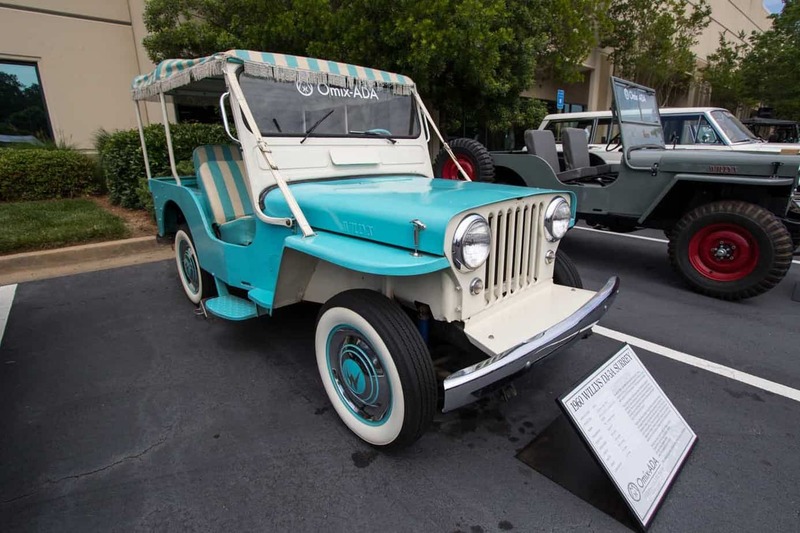 During the past decade they scoured the worldwide web in search of well-preserved models ranging from prototype Ford GPs and Willys MAs, to CJ-7s and Jeepsters. 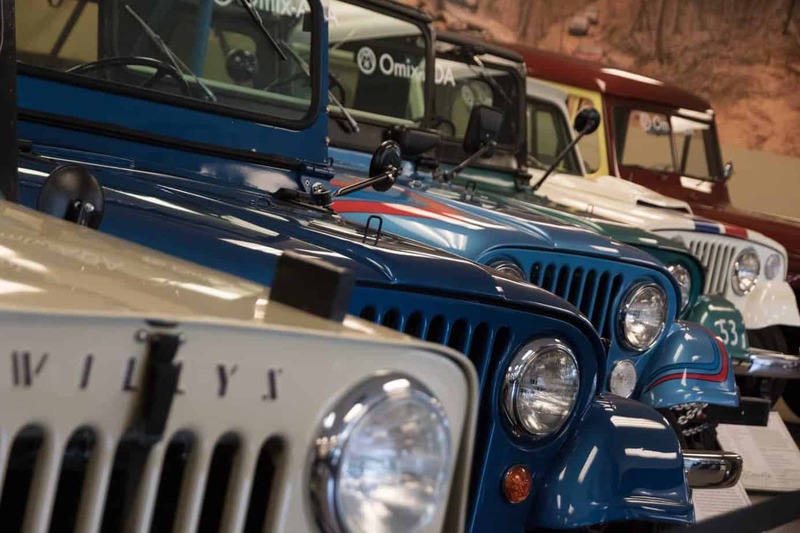 Prior to the passing of Jeeping legend Mark A. Smith, they purchased much of his collection with the promise that the fleet would stay together, have a permanent home, and be shared with the public. If restoration was required, they approached each undertaking with an end in mind—to bring it back to near-assembly line condition. Fortunately, the Omix-ADA warehouse is stacked to its 50-foot ceiling with thousands of new old stock parts. Need an OE 1946 Willys 2A hood or XJ body panel? No worries, it’s probably in stock. I took a tour of their 250,000-square-foot facility and was beside myself with the number of vintage OE parts they carry. As with all articles of antiquity, classic Jeeps should be shared with future generations. Upholding their promise to Mark, and feeding their passion for the seven-slot grille, the collection was assembled and given a dedicated portion of their building. 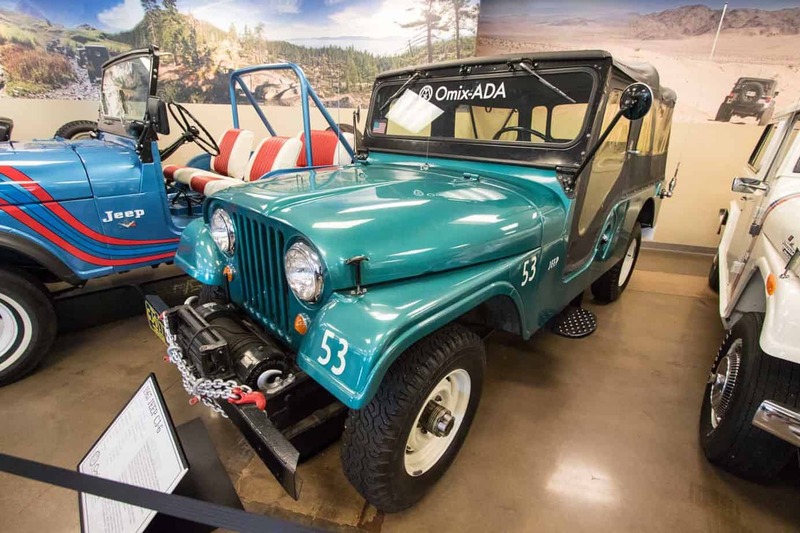 I recently joined Dave Logan, Omix-ADA’s sales training manager and Jeep aficionado, in Suwanee, Georgia, for a comprehensive tour of the museum. Here are some of my favorites. Bantam Motors was the first manufacturer in the running for what would be a very lucrative U.S. Government contract. Although they won the bid for their Blitz prototype, they lacked the production capacity and financial liquidity required to support the needs of the government. 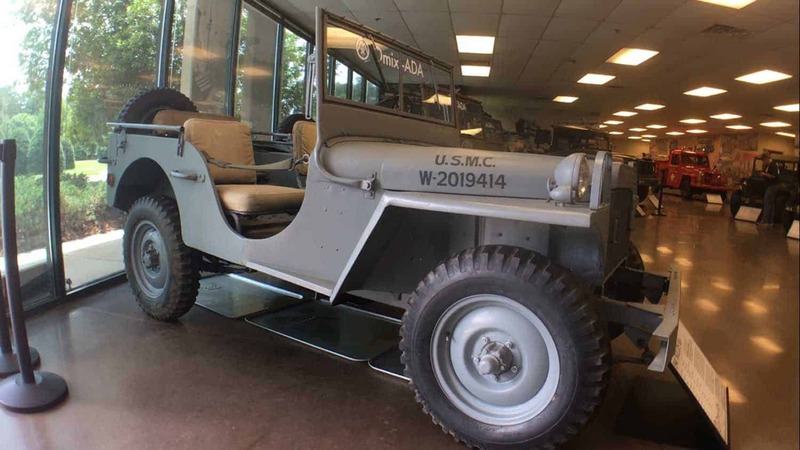 Their initial design was shared with Willys Overland and Ford, who went to task to not only replicate, but also improve upon the design. Bantam produced several thousand BRCs for the lend-lease program supporting the allied forces in Europe prior to the U.S. entering the war. Ford also answer the call for a ¼-ton all-wheel drive. Their offering was the GP. Although it was not selected, some of its features made their way to the final production model. It included a Ford truck instrument cluster, pintle tow hitch, and could be started with a hand crank. 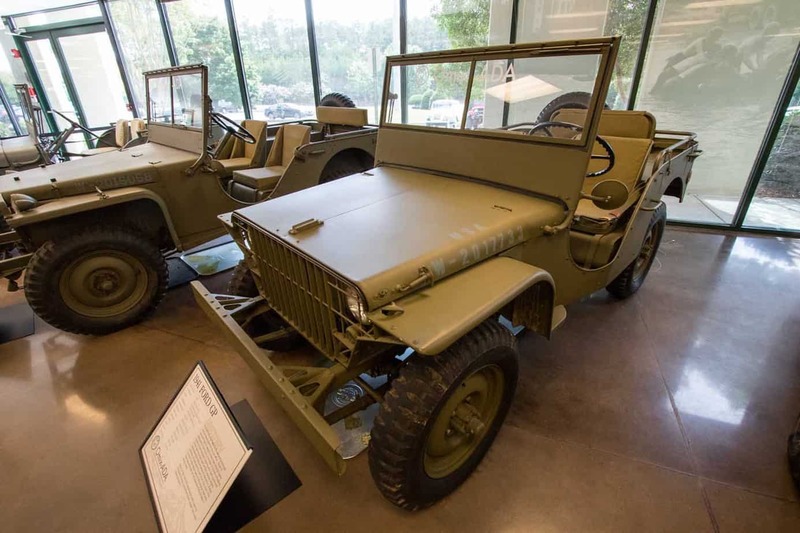 The Willys MA, which was preceded by the prototype Quad, became the primary light personnel carrier during World War II. 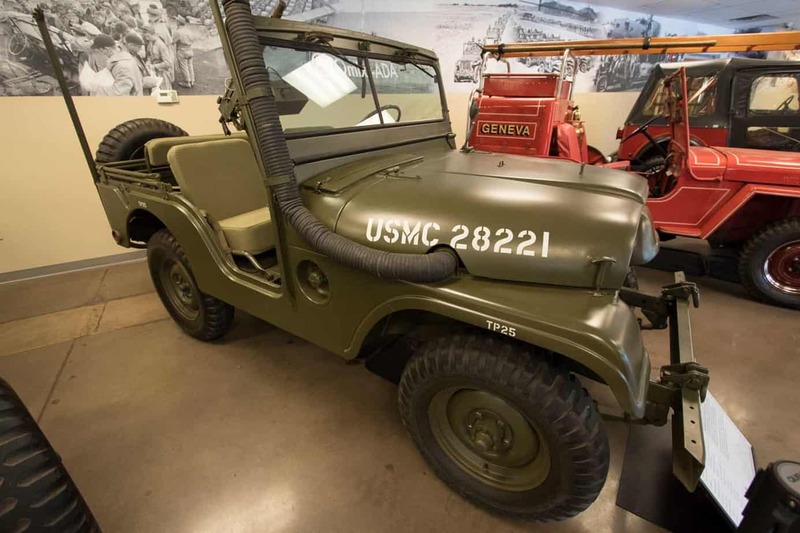 It is said that the Go Devil engine, which produced 33 percent more horsepower than Ford and Bantam’s offerings, was the primary reason Willys was awarded the contract. By the end of the war more than 350,000 MBs (the MA’s successor) had been built. 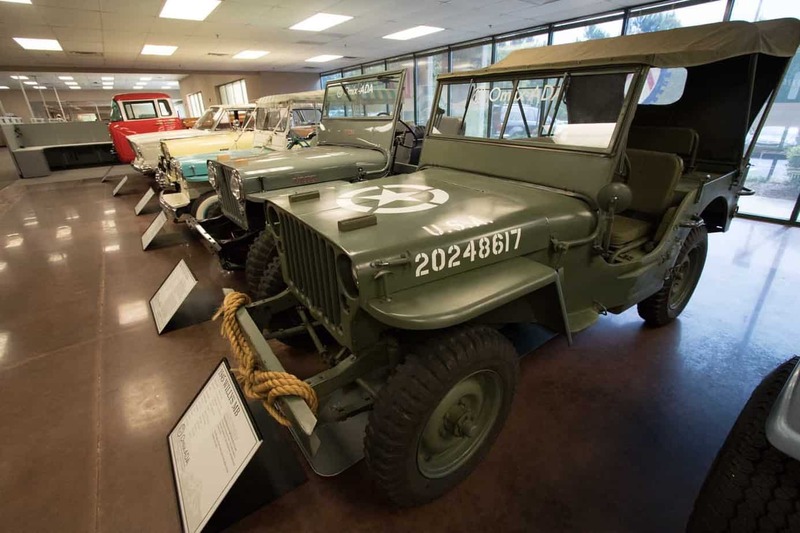 It is said that World War II could not have been won without the Willys Jeep. The MB followed the prototype MA, and served in all theaters of the war including Europe, the Pacific, and North Africa. It would eventually be fitted with small machine guns, as a long-range desert reconnaissance vehicle, and even given a propeller and converted to an amphibian. The Ford GPA amphibious was a marvelous idea that simply didn’t work. Based on the GPW chassis, it was encapsulated with a steel hull so it would float, given a PTO-driven propeller and rudder out back so it would move, and called a boat. Unfortunately, thousands of young soldiers piled into GPAs with rucksacks, arms, and ammunition only to find that the vessel could barely stay afloat. It sat low in the water, and anything more than light water would flood the cockpit and send it to the bottom of the sea—which is where most GPAs found a final resting place. This rare example was part of Mark A. Smith’s collection. During World War II, Ford built the GPW under license by Willys Overland. Specifications were technically the same, allowing for interchangeability of parts in the field. 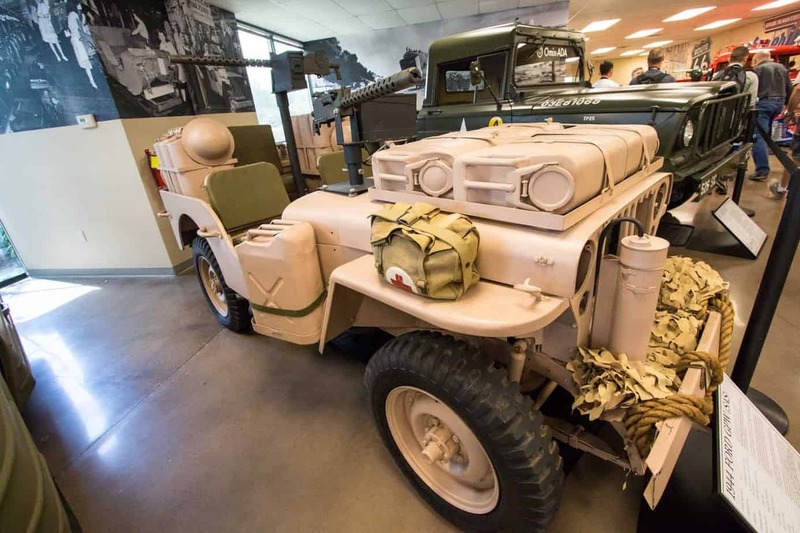 Specific for the campaign in North Africa, vehicles were stripped of all non-essential parts to allow them to carry additional fuel, water, and ammunition. Known as the Long Range Desert Group, which was made up of New Zealanders, members of the British SAS (Special Air Services), and volunteers from Southern Rhodesia, they performed deep-penetration reconnaissance missions and monitored enemy transport caravans. On occasion, they would slip into an Axis airfield under the cloak of darkness and set the crosshairs of their Browning and Vickers machine guns on parked enemy aircraft, wreaking havoc and disabling or destroying dozens of planes. The M38 entered the scene in 1950 with the buildup for the Korean War. 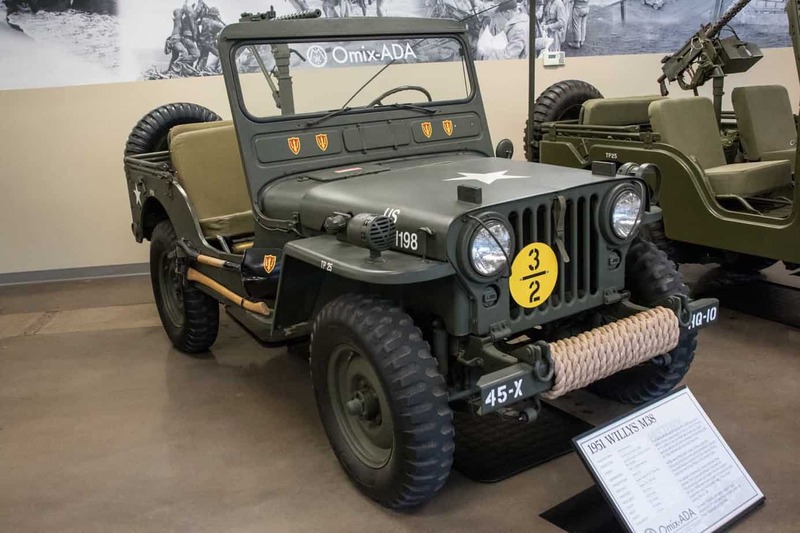 Considered a light tactical vehicle (based on the CJ-2A), it included a pintle tow hitch, one-piece windshield, larger tires, 24-volt electrical system, and more durable suspension and frame. 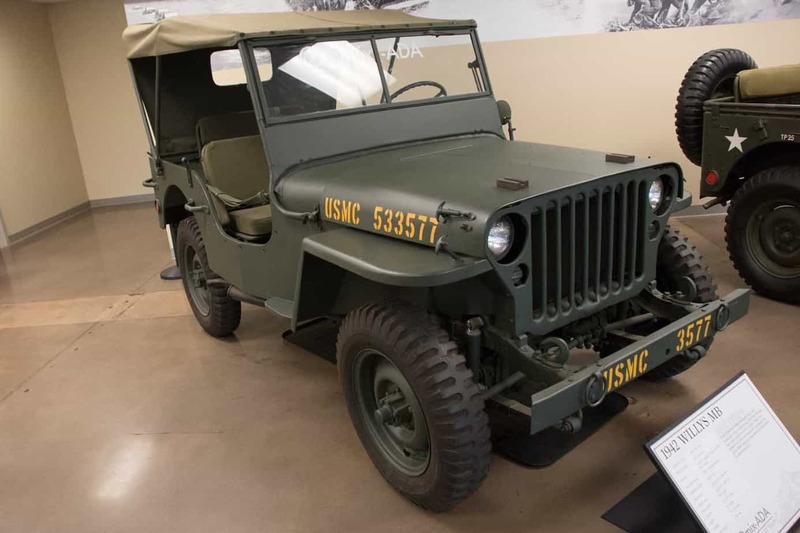 The M38-A1 was the first Jeep to have rounded fenders and hood. 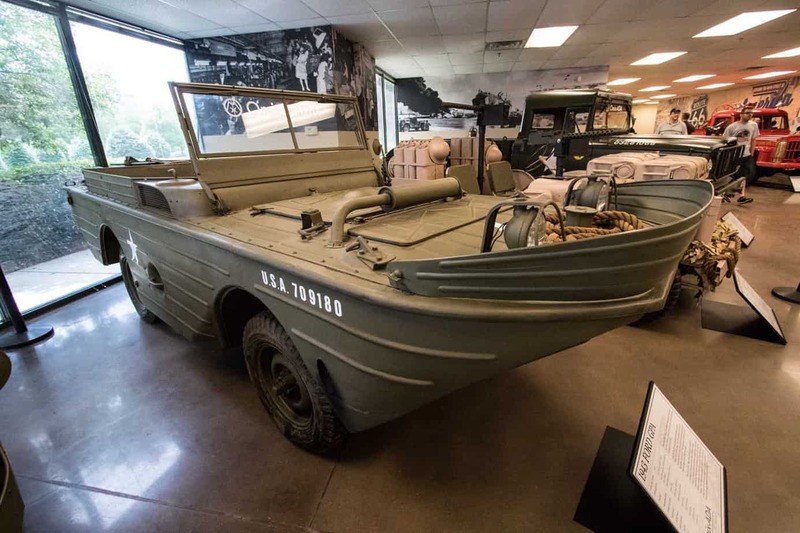 It was designed for military use and served as the standard light personnel transporter through the Korean and Vietnam Wars. 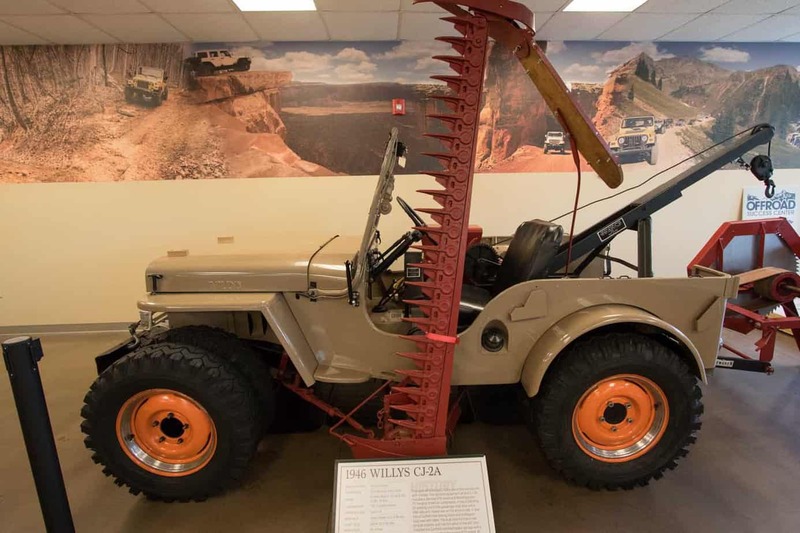 As greater America realized the utility of the Jeep as a farming tool, dozens of implements were designed, attached, and run off a PTO from the transfercase. This well-preserved example includes a Ramsey winch, Westinghouse PT-1 air compressor, 200-amp welder, side-arm mower, Canfield tow boom, Newgren buzz saw, and a Novi governor to adjust engine and PTO speed. It also featured Canfield overload springs and dual wheels fore and aft. It is a rare sighting in the Jeep world. 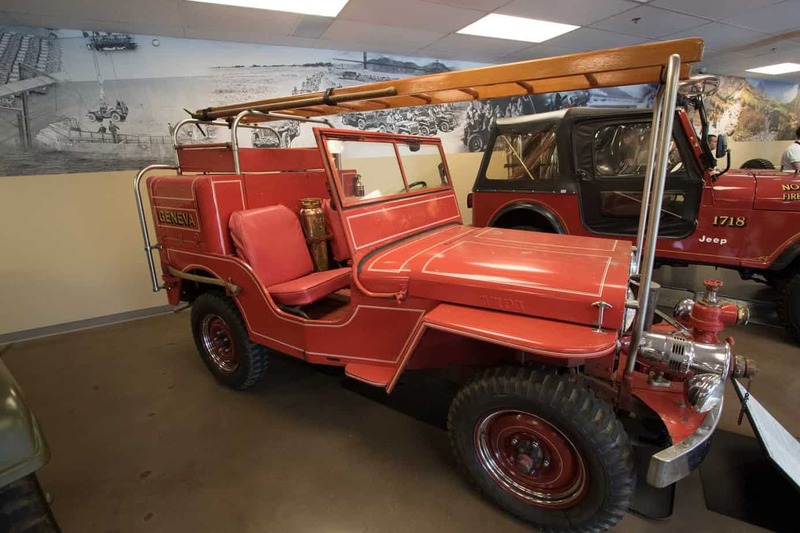 The Howe Fire Apparatus and Boyer Fire Apparatus companies converted a small number of Willys CJ-2As into fire trucks. With four-wheel drive and a diminutive size, the 2A could access wildland fires in terrain that thwarted conventional fire trucks of the day. This example (a Boyer conversion) was part of Mark Smith’s collection in Georgetown, California. After WWII the American public, ready for some rest and relaxation after years of war, embraced the Willy for its ability to access backcountry camp, fishing, and hunting spots. It was light, capable, and became ubiquitous with overland travel. 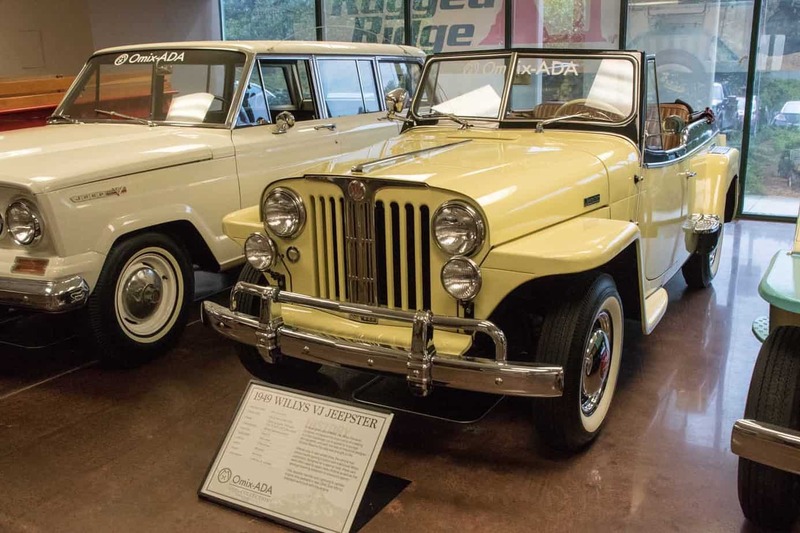 In an attempt to attract a younger demographic, Willys Overland developed the sporty VJ Jeepster convertible sedan. Early versions were equipped with the standard Go Devil engine, but in 1950 the company offered the Hurricane F-134 and Lightning L161 as well. It was only available in two-wheel drive, and did not gain traction (pun intended) with the general buyer. The VJ was phased out in 1951. The FC, or Forward Control, is a bit of a unicorn in the Jeep World, in that the cab sits directly over the motor and the motor sits between driver and passenger. Although there were numerous versions offered (FC-170, FC-180, FC-180 DRW, and so on) for various uses, the common denominator was that they all had a utility bed out back. 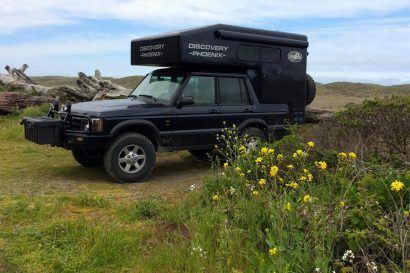 The much-loved FC was put into service as farm trucks, tour buses, and even motorhome conversions. Driving one is like operating a school bus—but you’ll receive loads of looks, smiles, and raised thumbs! With a frilly ragtop, side steps, and pinstriped seats, the Surrey was ready for mint juleps and leisurely drives on a Sunday afternoon. It was designed with the hotel and resort client in mind, trotting guests from the hunting lodge to sundowners by the lake. As such, many were shipped to Hawaii and the Caribbean for the aforementioned high rollers and use as rental cars. 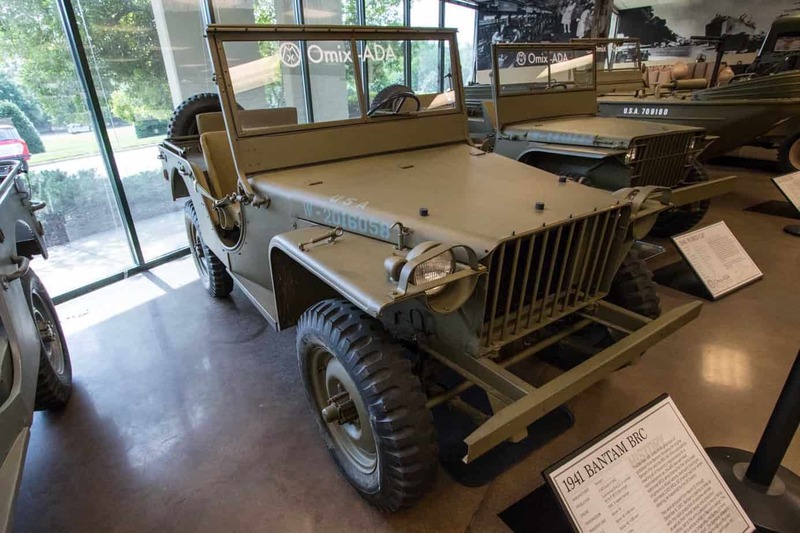 The CJ-5 was essentially the civilian version of the M38 A1 military Jeep. With a 29-year tenure, it claimed the longest production of any vehicle. 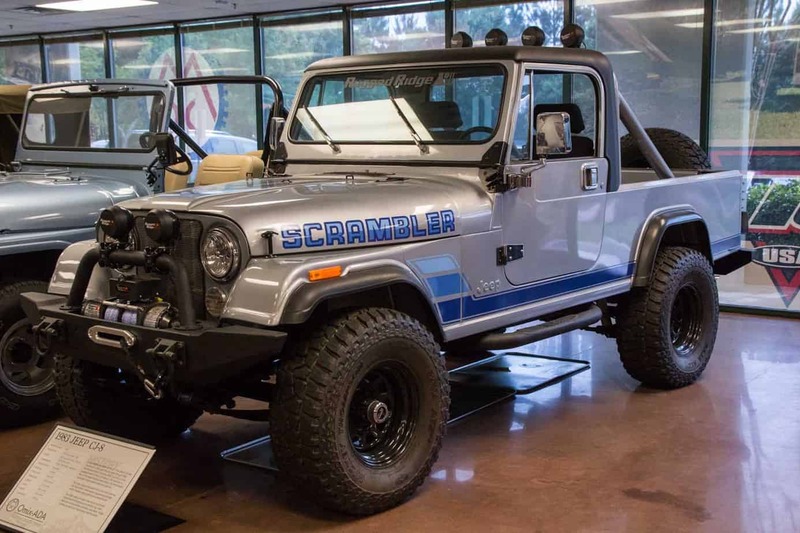 It was available with a variety of engines, transmissions, transfer cases, and axles, as well as in models such as the Renegade, Golden Eagle, Tuxedo Park, and Super Jeep. 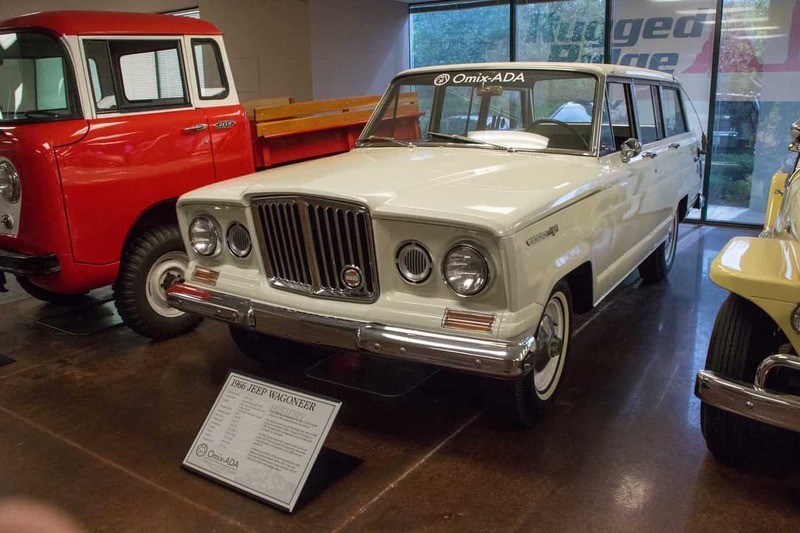 The SJ Wagoneer, successor to the Willys Wagon, appeared in 1963 and was the first luxury four-wheel drive wagon, or SUV, offered by the company. During its two-decade production run it was fitted with everything from the Tornado inline 6 cylinder to a 401-cubic inch V-8. Although a manual transmission was available in some models, more common was the Turbo-hydramatic 400 and Torqueflite 727 automatic. This particular vehicle was purchased from the second owner with only 17,830 original miles. 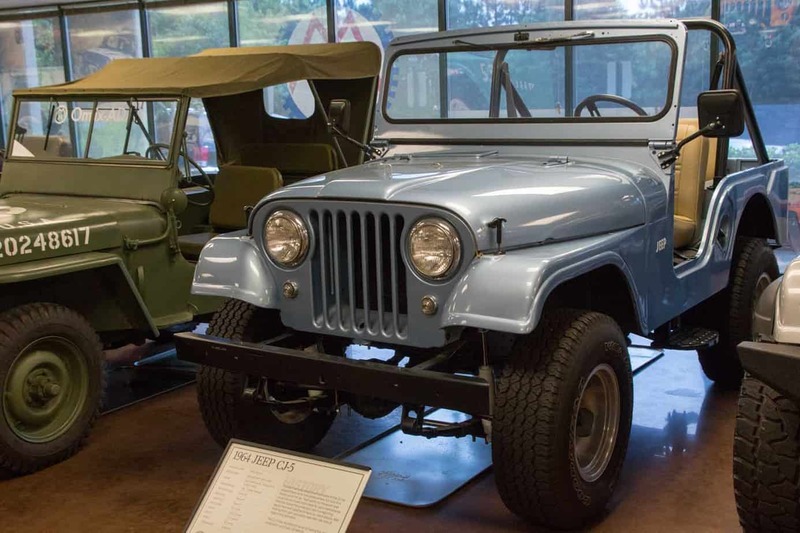 The “6” was the long-wheelbase version of the CJ-5 (adding approximately 20 inches). 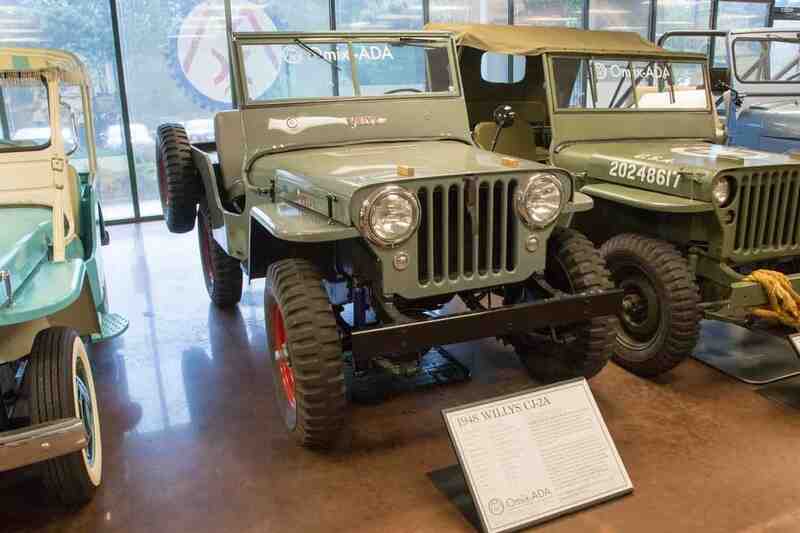 The U.S. Forest Service and foreign enthusiasts gravitated toward the CJ-6 more than domestic buyers. This example, which is in stellar condition, was used as a volunteer ambulance in Troy, Michigan. It has the original tires, an optional Ramsey PTO winch, and the odometer reads a scant 14,000 miles. With the muscle car generation’s foot firmly on the skinny peddle, and Commander sales falling off, AMC joined forces with Hurst Performance Products to inject some adrenaline into the Jeeping world. The Hurst Edition featured a custom hood scoop (yes, designed with a swale in the middle) and GTO-style tachometer, Dual Gate shifter, custom Goodyear tires, roof top luggage rack, and a stylish (for the day) graphics package. The example here is one of only 100 built. The Super Jeep, offered in 1973, was the result of a shortage of the classic 70s-style aluminum slot mag wheels needed for Renegade models. 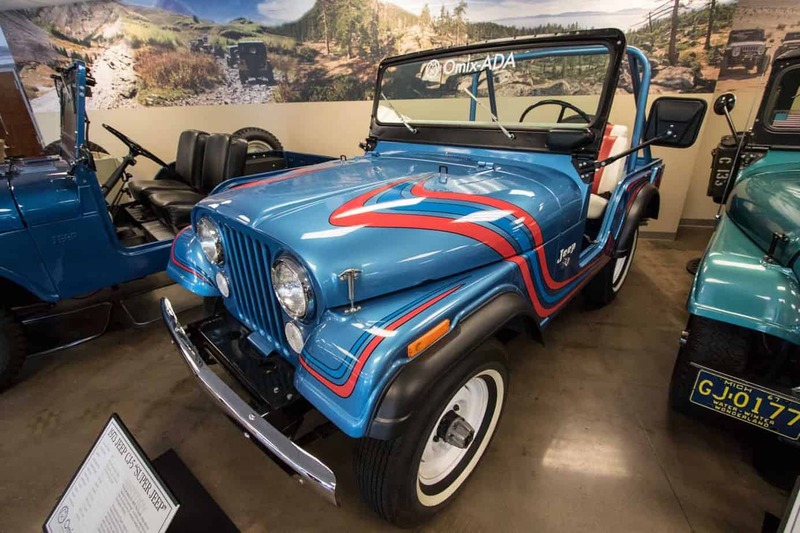 It featured a groovy graphics package, white soft top, and custom upholstery. Only 300 were built. The CJ-8 was technically a stretched CJ-7. 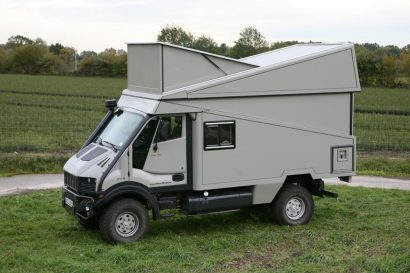 It featured a removable half cab and a short pickup bed out back. The Scrambler designation was derived from a model that included a graphics and wheel package. 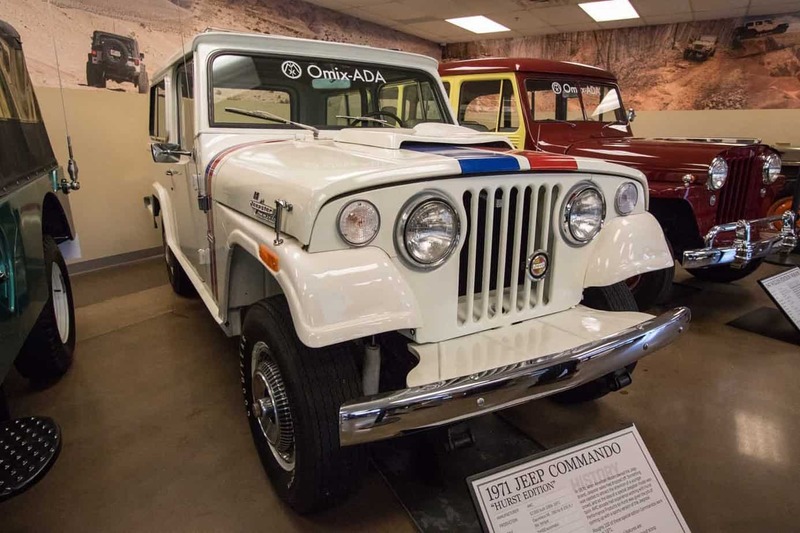 In South America it was sold as the CJ-8 Overlander, which included a full-length hard top.